MobiKwik is one of India’s largest and fastest-growing mobile payment networks, connecting over 65 million users with more than 2.5 million retailers. Over 25 payments are processed per second, and 100+ new users sign up everyminute. With MobiKwik, users can purchase from some of the biggest online retail stores without having to disclose their credit card details, and can instantly transfer money to friends. Every penny stored in the MobiKwik wallet is protected by state-of-the-art in-app security settings. BookMyShow, Domino’s Pizza, Pizza Hut, and eBay are just some of the leading brands associated with MobiKwik. Reduced uninstall rates by 20% with timely, conversion-specific campaigns. Won back 23-25% of their uninstalled users with reactivation campaigns. Increased user engagement by 2x with campaigns triggered by user behavior. Segmented users into groups for highly personalized marketing campaigns. Without a mobile analytics tool, the marketing team at MobiKwik didn’t have a clear picture of what users were doing in their app, or how to better engage them. They were constantly checking in with their data team, who had to manually cull massive amounts of data for them. The team was also facing issues with high message delivery failure rates, which meant they were missing out on valuable opportunities to prompt users to transact using the MobiKwik app. 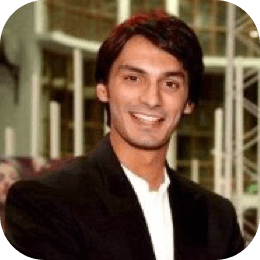 The company was spending a lot of money on advertising to acquire new users, but without a mobile marketing solution to help them track and engage their user base, they were having trouble keeping those hard-won users active on the app. The team needed a next-gen mobile marketing solution to provide both data analytics and user engagement — and reliably handle their extensive user base. With CleverTap, MobiKwik is not only able to see how users interact with the app, but apply those insights to improve the user experience. After integrating CleverTap, they realized almost 30% of their users uninstalled within the first week. They could see exactly where in the onboarding process to focus their attention, instead of shooting in the dark. They began sending promotions on Days 3 and 4 to encourage new users to launch the app and complete a key action. This slashed their uninstall rate by 10% in the first week. MobiKwik knew getting users back to the app requires habit formation. They began segmenting users based on due dates for utility bills, and through triggered reminders helped them pay on time via the app. This doubled user engagement with the app. The MobiKwik marketing team can easily spot their app’s friction points and create targeted campaigns to boost retention. MobiKwik automates welcome campaigns to educatenew users about key features and help them quickly. 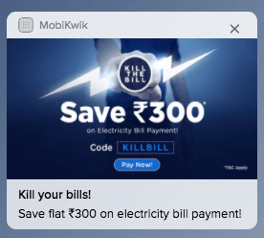 Using real-time uninstall data, Mobikwik schedules SMS and email campaigns for users who uninstalled their app to understand why and entice them to come back. With this approach, they’ve won back 23-25% of their uninstalled base. In the FinTech space, it’s critical to educate users about safety and ensure transactionsecurity. Equipped with a single platform for both analytics and user engagement, the MobiKwik team can now use personalized marketing strategies to make every communication more meaningful and informative for users. MobiKwik believes in hassle-free payments, and has always tried to simplify transactionsfor money transfers, ofine stores, transport, accommodation, and more. They’ll continue using CleverTap’s marketing automation to further deepen user engagement and brand loyalty among their users.